← Linda Smith in Toronto’s Music Garden. 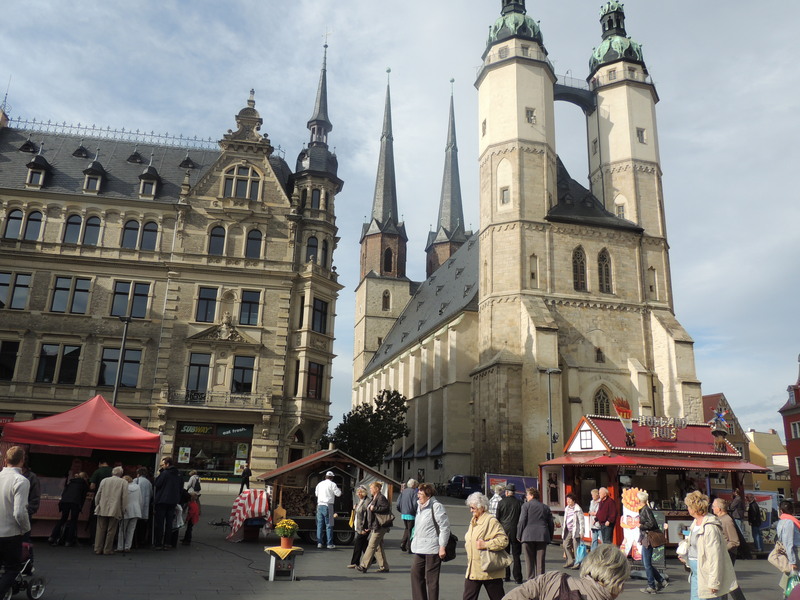 The Halle Market and Marktkirche, (1529-54). My wife and I visited Halle to renew our acquaintence with Dr. Rasmus Sennewald and his wife Julia and their two children, Emma and Caspar Hans Leopold. While a student, Rasmus had been a driver for Nexus during its engagement with the Schleswig-Holstein Music Festival in 2005. He introduced us to his parents, Rainer and Marlis and thus began for my wife and me, a regular voyage of travels. 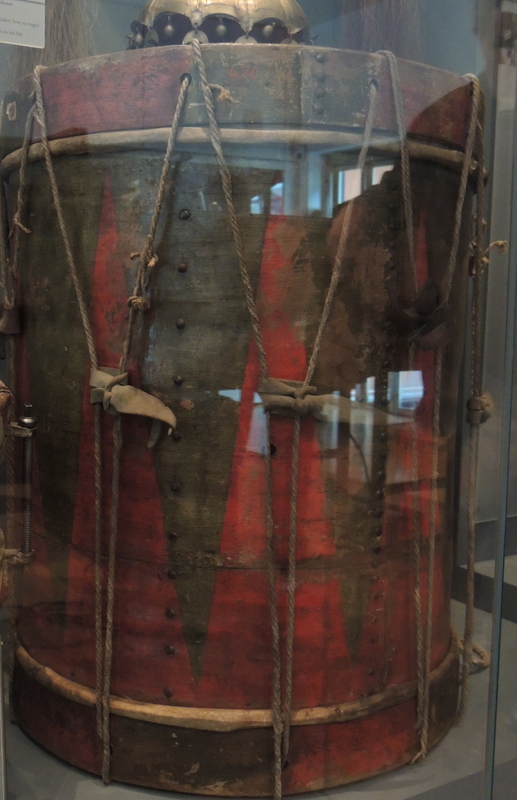 Since Roman times Halle was a major producer of salt, a city of importance during the Thirty Years War (1618-48) and about 300 years later disappeared behind the Iron Curtain. After reunification, financial aid from former West Germany has begun to refurbish Halle’s infrastructure, helping it to catch up with the 20th century. 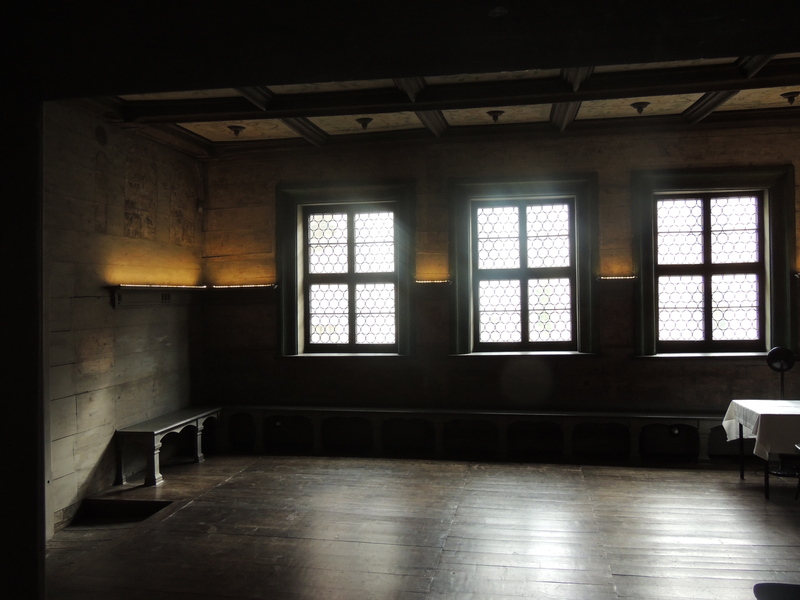 Halle is also a city closely associated with historically important people, among them Martin Luther. Luther was born and died in Eisleben, Saxony, then part of the Holy Roman Empire in 1546. 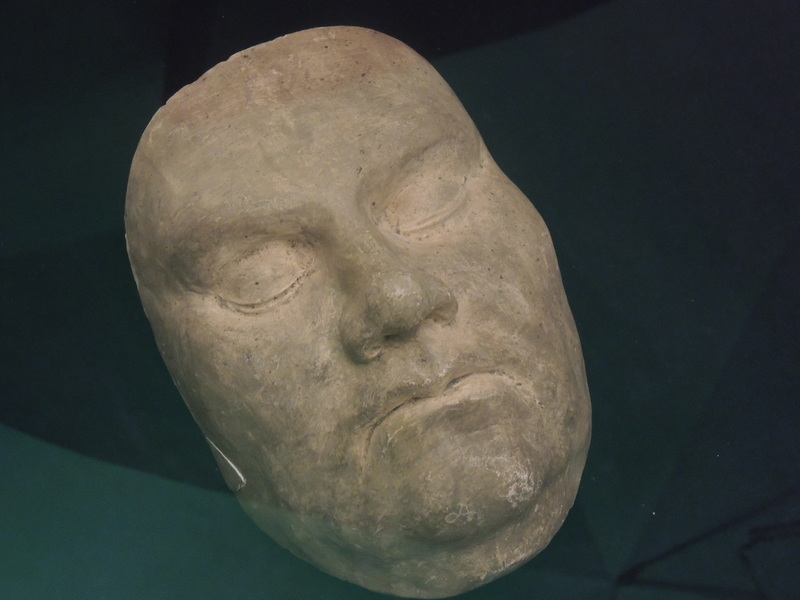 His death mask was made the day after he died.1.) 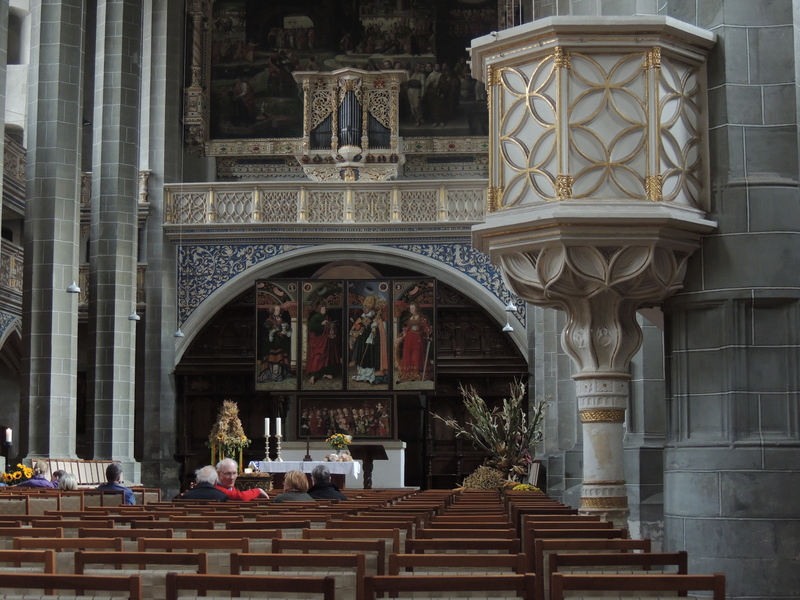 Martin Luther preached his last sermon in Marktkirche from the wooden pulpit shown below. The Marktkirche obtained the mask and is on display in a room at the back of the church. 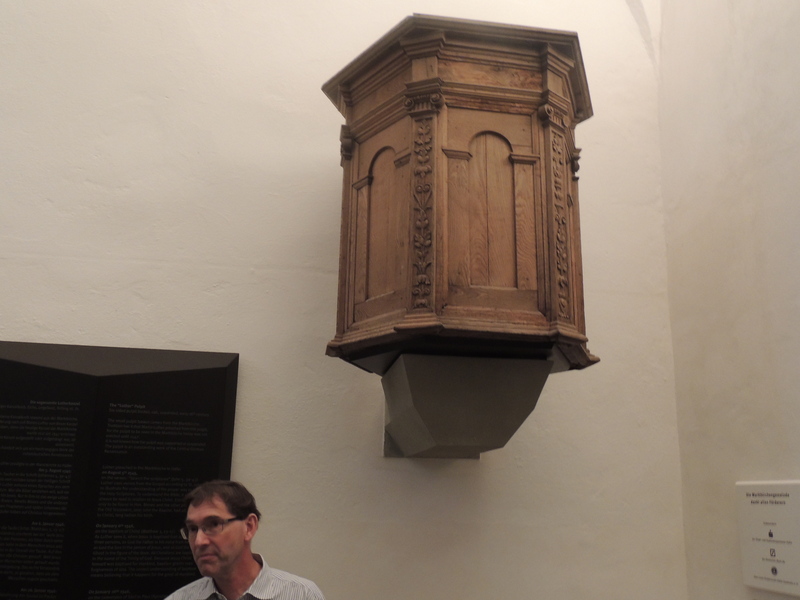 The pulpit from which Martin Luther last preached, 1546. 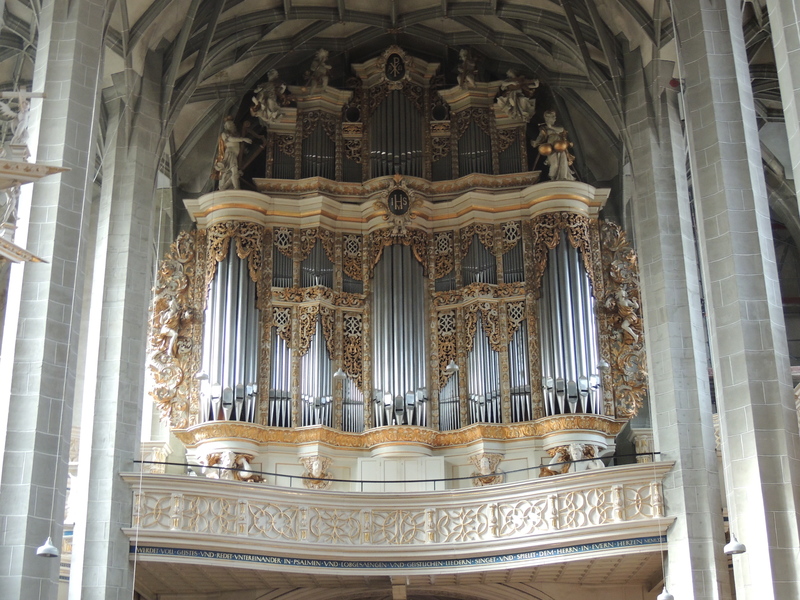 In 1713 Bach tested renovations of the Marktkirche organ and was offered the post of organist. He declined, but his son Wilhelm Friedemann, known as the Hallesian Bach, was organist from 1746 until 1764. The Marktkirche organ loft today. Handel spent his first 18 years in Halle. He was baptized 24 Feb,1685 and received his first organ lessons in the Marktkirche. 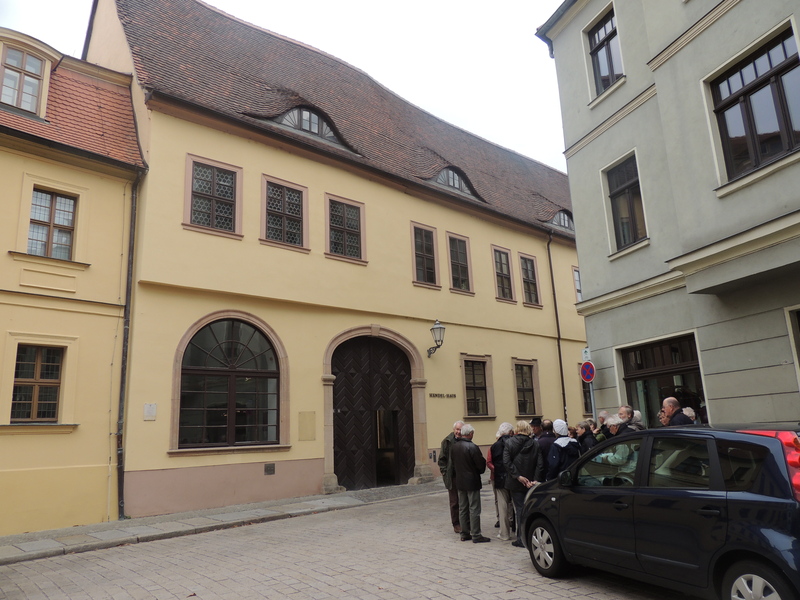 His birthplace, just a short walk from the church, is now a museum. Except for one front room, its interior has been painted in hospital white. 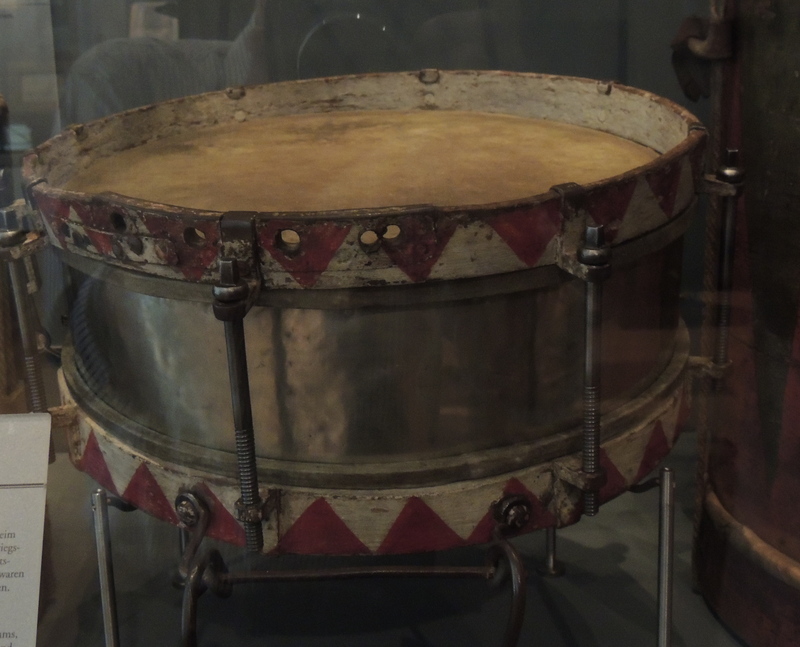 Nevertheless it contains portraits, reproductions of manuscripts and most interesting to me, music instruments played by Handel or in use during his lifetime. Please see the photo gallery attached to the end of this article. The parents of Rasmus live in Ratjendorf about an hour’s drive northeast of Hamburg. Rainer is the art director for the German magazine DerSpiegel and besides being a teacher, once a year Marlis organizes an international PaperTheatre festival near Ratjendorf. 2.) They love to travel and compared to the US and Canada, German culture allows plenty of time for them to indulge. During our first meeting, we asked them to visit us and much to our surprise and delight, they arrived in Toronto two months later. They’ve now visited us twice here, the second time with their youngest son Tobias. We’ve met in New York City and visited Tuscany. This year Rainer and Marlis suggested a tour of Germany that would introduce us to some of the places significant in their lives. After a week in Paris, my wife and I boarded an overnight train to Hamburg where the Sennewald’s met and drove us to their home in Ratjendorf. We spent two days enjoying each other’s company and discussing our upcoming trip. This is part one of a three part posting. The second will concern Paris, Marie Antoinette and the Treaty of Ghent and the third will describe the John Cage As Slow As Possible project in Halberstadt. 1. http://itthing.com/life-and-death-masks-of-famous-people for Beethoven’s life mask. All photos of snare drumd by Rainer Sennewald. 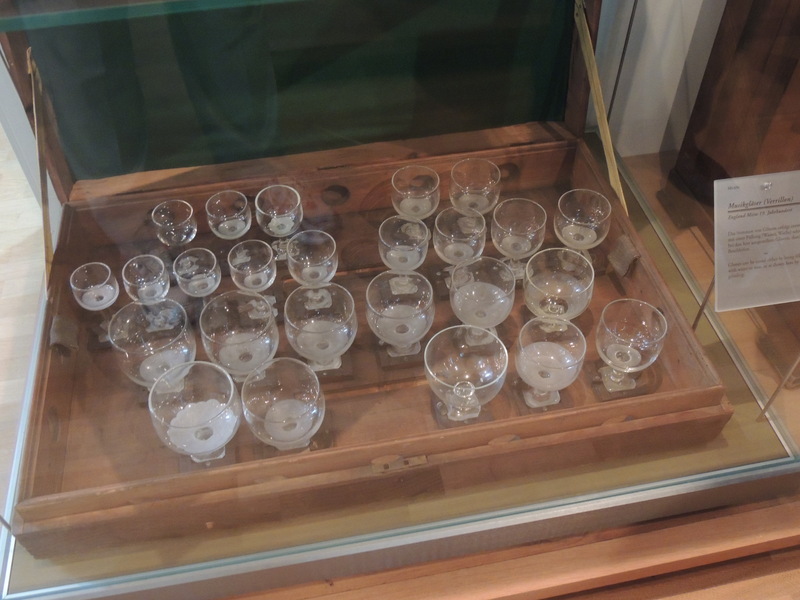 Glass Harmonica, Bohemia, ca. 1820. 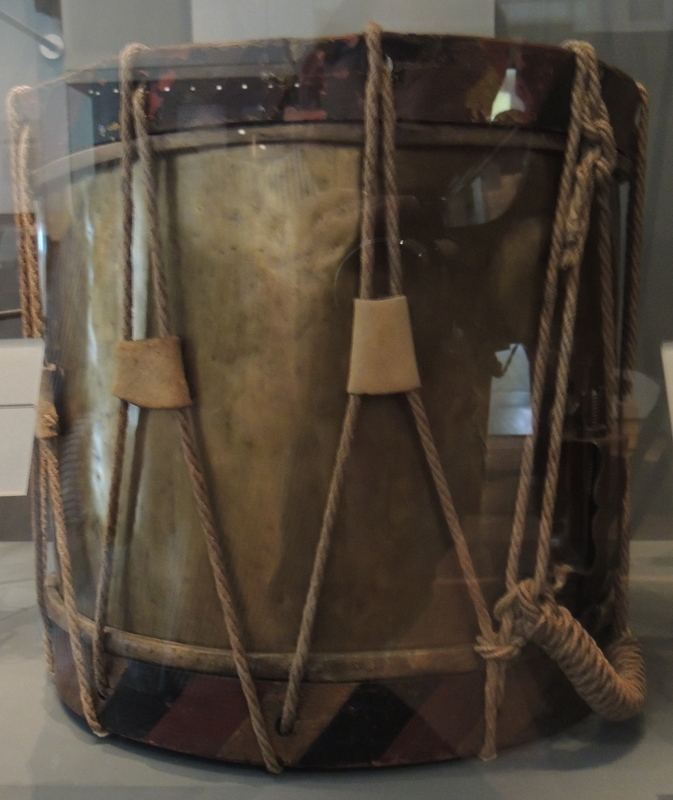 Lacqured wood shelled Snare drum, 18th c.
Rope tensioned field snare drrum. 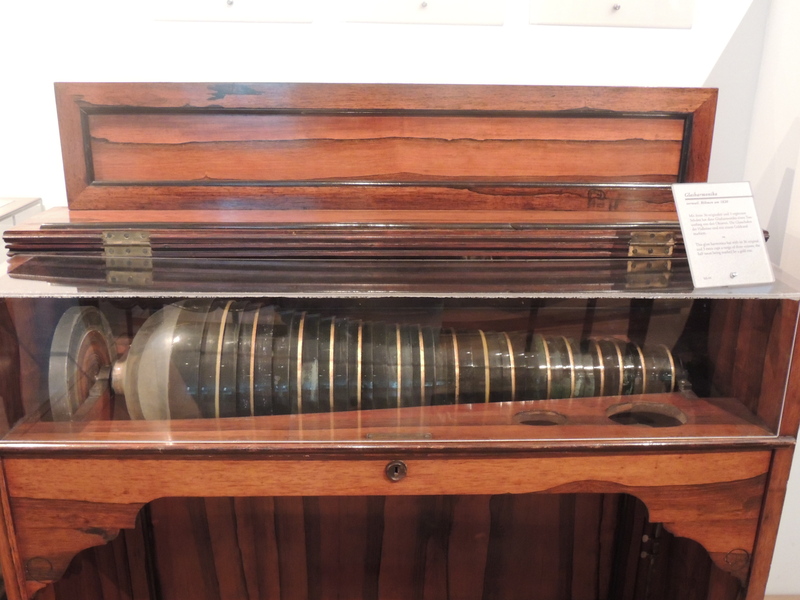 Glass Harmonica, England, 19th c.
Wonderful pictures and description of your trip……..can’t wait for the next post. 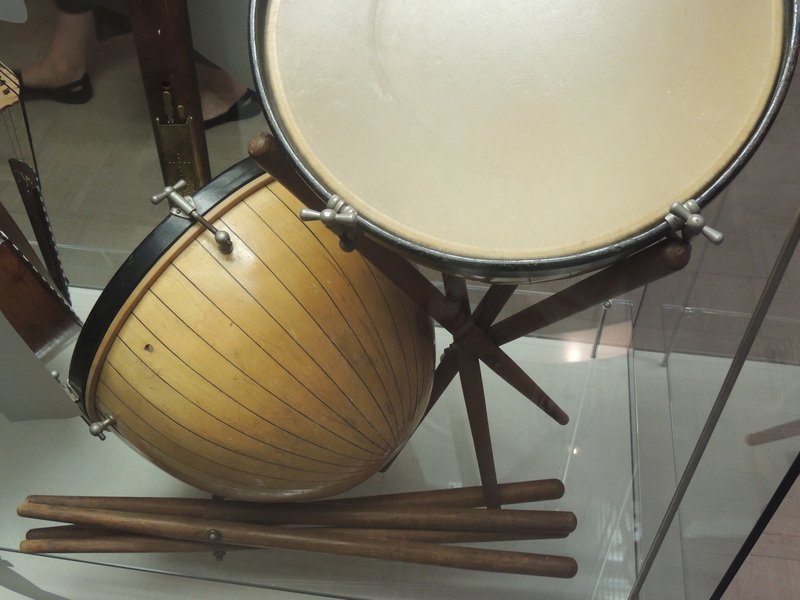 I’m really interested by the photo of the wooden hand screw timpani, do you know when they were built, or any information about the makers/whereabouts? I’m sorry, I do not. They are beautiful and being in the Handel Hause, I would guess they date from Handel’s era, 1685-1759. All the instruments in the Handel Hause were from that era. Some belonged to or were played by him.